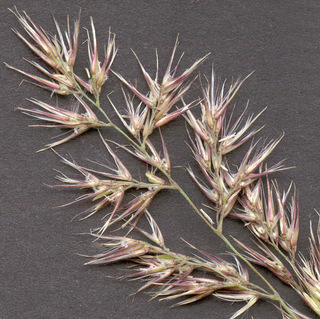 Calamagrostis epigejos plants. By Steve Garske. Copyright © 2017 Steve Garske. New England Wild Flower Society. gobotany.newenglandwild.org (Accessed 11/2017). Calamagrostis epigejos is a perennial, densely colonial grass from rhizomes, stems 60 cm to 2 m tall, pale gray-green, nodes often dark; ligules membranous, 0.4-1.2 cm. Leaves alternate, blades 0.4-2 cm wide, pale gray-green. 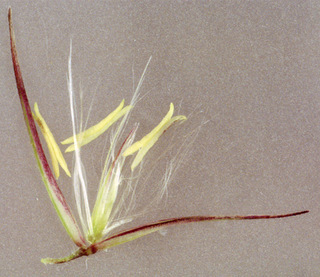 Calamagrostis_epigejos, spikelets. © Copyright Malcolm Storey 2011-2117 . discoverlife.org(Accessed 11/2017). Flower spikelets 1-flowered; glumes 0.5 cm long, awl-shaped; lemma 0.2 cm, awned, base with dense tuft of long white hairs, almost as long as the glumes; inflorescence dense, to 35 cm long, dense, fluffy or silky, often purplish; blooming and fruiting Aug.-Sept.
Calamagrostis epigejos, floret. © Copyright Malcolm Storey 2011-2117. discoverlife.org(Accessed 11/2017). 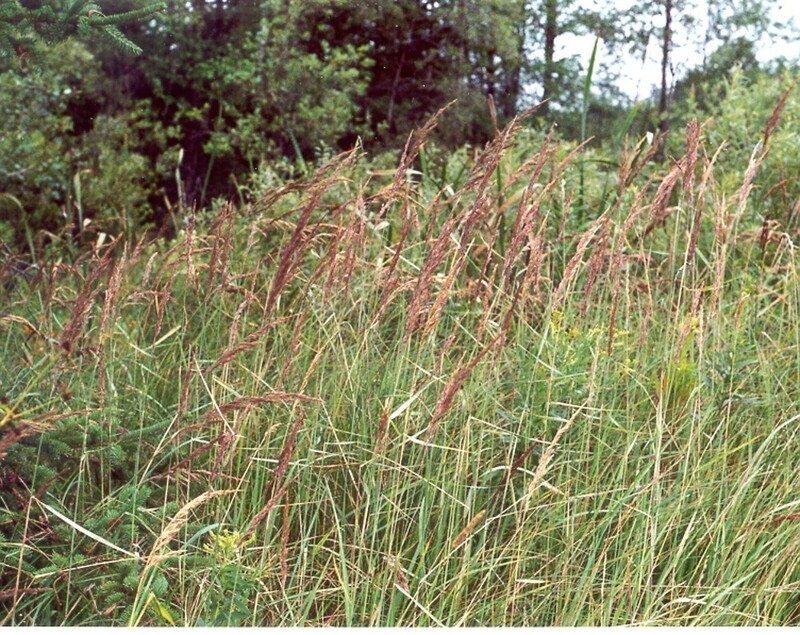 Habitat: Open sandy soil or fill.